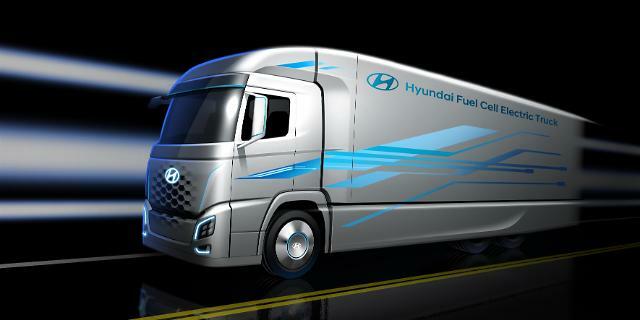 SEOUL -- Hyundai Motor, a frontrunner in the development of hydrogen fuel cell electric vehicles (FCEVs), unveiled the rendered image of its fuel cell electric truck to be launched in 2019. Vehicle specification will be disclosed next week at the IAA Commercial Vehicles 2018 in Germany, along with future plans. 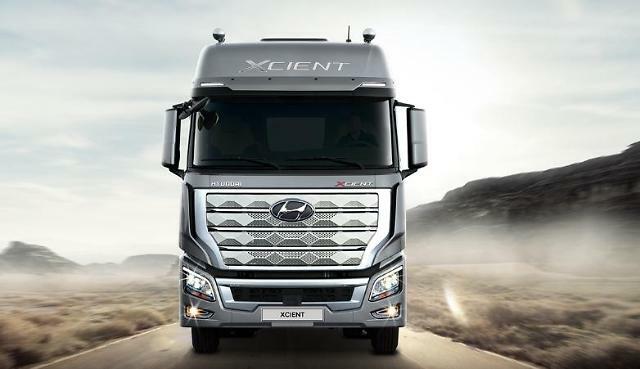 With its distinctive simple and clean design, the truck is "aerodynamically efficient with a spoiler and side protector," Hyundai said in a statement. Fuel cell electric trucks will be introduced first in Europe next year, with sales in other regions depending on demand and the establishment of charging stations. 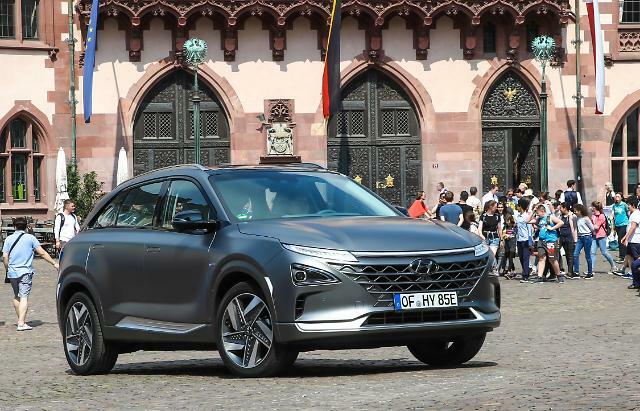 "The front grille symbolizes hydrogen through geometric shapes, giving the vehicle a unique and powerful look," Hyundai said. "The vehicle emanates an eco-friendly look with an iconic blue color application and a bold side body graphic on the container, which visualizes its dynamic character." 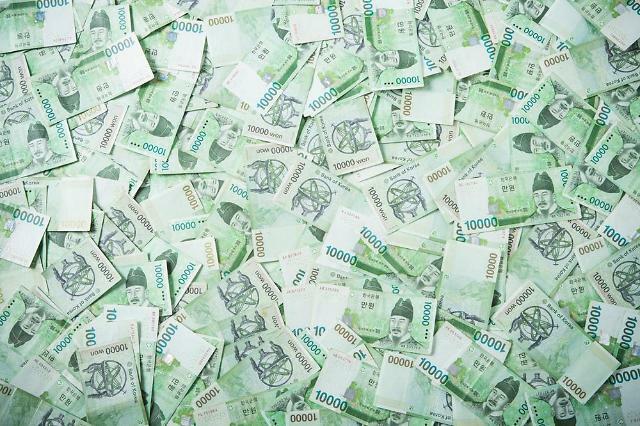 Unlike other global players, Hyundai has pinned much hope on FCEVs, touting hydrogen fuel as an alternative to solve global problems such as pollution and resource depletion.